Is Cedar Realty Trust Inc (NYSE:CDR) an exceptional investment now? Prominent investors are taking a bearish view. The number of long hedge fund positions shrunk by 1 lately. In the 21st century investor’s toolkit, there are plenty of gauges shareholders can use to track their holdings. A pair of the most underrated are hedge fund and insider trading movement. At Insider Monkey, our research analyses have shown that, historically, those who follow the best picks of the elite fund managers can beat the market by a healthy margin (see just how much). Just as key, positive insider trading sentiment is a second way to break down the stock market universe. Obviously, there are a variety of incentives for a corporate insider to drop shares of his or her company, but only one, very simple reason why they would behave bullishly. Many empirical studies have demonstrated the valuable potential of this method if you understand what to do (learn more here). With all of this in mind, let’s take a peek at the key action encompassing Cedar Realty Trust Inc (NYSE:CDR). What have hedge funds been doing with Cedar Realty Trust Inc (NYSE:CDR)? Heading into 2013, a total of 6 of the hedge funds we track were bullish in this stock, a change of -14% from the previous quarter. With the smart money’s sentiment swirling, there exists an “upper tier” of notable hedge fund managers who were increasing their holdings significantly. Judging by the fact that Cedar Realty Trust Inc (NYSE:CDR) has witnessed declining sentiment from the entirety of the hedge funds we track, we can see that there is a sect of money managers who sold off their positions entirely last quarter. Intriguingly, Jim Simons’s Renaissance Technologies said goodbye to the biggest position of all the hedgies we track, comprising about $0.5 million in stock., and Mike Vranos of Ellington was right behind this move, as the fund sold off about $0.3 million worth. These moves are intriguing to say the least, as aggregate hedge fund interest dropped by 1 fund last quarter. How have insiders been trading Cedar Realty Trust Inc (NYSE:CDR)? Insider purchases made by high-level executives is at its handiest when the company we’re looking at has experienced transactions within the past six months. Over the last six-month time period, Cedar Realty Trust Inc (NYSE:CDR) has experienced zero unique insiders buying, and zero insider sales (see the details of insider trades here). 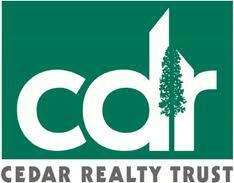 Let’s also review hedge fund and insider activity in other stocks similar to Cedar Realty Trust Inc (NYSE:CDR). These stocks are Saul Centers Inc (NYSE:BFS), Retail Opportunity Investments Corp (NASDAQ:ROIC), Urstadt Biddle Properties Inc (NYSE:UBA), Getty Realty Corp. (NYSE:GTY), and Kite Realty Group Trust (NYSE:KRG). This group of stocks are the members of the reit – retail industry and their market caps are similar to CDR’s market cap.